The Ocean Awards will be held in London on January 11. This exclusive awards evening will celebrate individuals, companies, legislators and projects that have made outstanding contributions to the health of the oceans. The Ocean Awards are held in partnership with Blue Marine Foundation, one of the UK’s leading ocean conservation charities, with support from Y.CO and Yacht Carbon Offset. 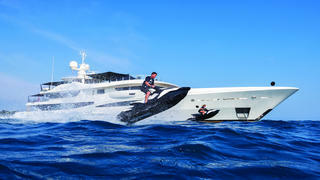 Co-founded by Gary Wright and Charlie Birkett, Y.CO is the challenger brand of the global superyacht industry. Pioneering innovation and bringing a new dynamic, modern approach to yachting, Y.CO specialises in sales, purchase, charter, management, new construction and refit from superyacht hubs worldwide. Founded in 2004 and built on a foundation of specialist knowledge, first-hand onboard experience and a passion for yachts and exploring the ocean, Y.CO enables owners and charter clients to experience the adventure of yachting at the highest possible levels of service. Y.CO is synonymous with its signature yellow livery: bright, positive, fun and enthusiastic. It’s what we call Yellowessence. 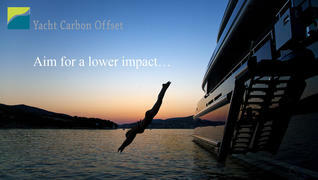 Yacht Carbon Offset enables owners to improve the environmental profile of their yacht by addressing its greenhouse gas impact in a practical and effective way. The fully-documented and audited service counteracts each tonne of CO2 emitted by the engines with an equivalent tonne of CO2 saved by a green energy project ashore, such as renewable power or energy efficiency. These emissions savings are allocated to the yacht through a Yacht Carbon Offset Certificate, corresponding to the essential funding provided to each project. Participants can, if required, track their offset payment to individual, selected projects and full supporting information is always available.